Carol Jaeger came out of retirement to open Salt Bay Art Supply on October 22, 2011 on the second floor of Main Street Center, uptown on Main Street in Damariscotta, across from the Hannaford Grocery Store, one month after the well-known Old Maine Art Shop closed. “You can’t not have an art supply store in Damariscotta, Maine” she said. In March 2013 the store moved to its present location on the ground floor at the end of the same building. From the beginning, Salt Bay Art Supply’s emphasis has been on quality art materials, and customer service and education. This has meant that Carol attends as many trade shows and workshops as possible and is constantly learning more about current products as well as about new products, and educating her staff. Salt Bay Art Supply focuses on American made products of the highest quality. This does not mean that the store doesn’t carry imported art materials, but primary emphasis is on American products such as Williamsburg and Gamblin oils, R&F oil sticks, Daniel Smith watercolors, Golden acrylics and the full line of M. Graham oils, acrylics, watercolors and gouache. The cradled birch panels are made in Wisconsin. Many of the drawing materials are American made. A customer came in one morning several years ago, took a look around the 1,100 square-foot store and said, “This is the biggest little art supply store around!” A great deal of inventory is packed into a small space as Carol has added items as customers have asked for them and supported the additions to the basic inventory. iDyes and SolarFast and fabric markers from Jacquard, decorative papers from Nepal and India, fine art papers from Canada have been added. The children’s section offers a broad range of art supplies and kits for kids and every Christmas Salt Bay Art Supply can truthfully advertise “Christmas without Batteries” as supporting children’s imaginative adventures and creative freedom is a basic tenet of the department. 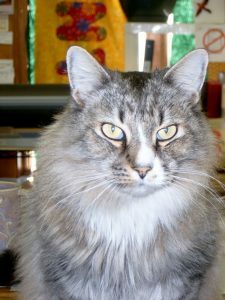 Salty Cat is always happy to welcome customers to the store and is happy to accept polite attention from anyone who visits. Please note that a returned check will result in an additional charge of $25 PLUS what the bank charges for processing the return ($25 as of 8/16) and if not made good in full (face amount plus both penalties) within 14 days will be turned over to the police for collection. We are happy to mail most of the products we carry to established customers within the US. We charge for the shipping cost and recycle the packaging materials we receive whenever possible. However, it is sometimes necessary to purchase a box or padded envelope: this cost is passed on to the customer. We do not charge a “handling fee”. Credit cards are accepted for mail order. Returns are accepted with the itemized receipt for exchange or store credit only. Returns must be in salable, unused condition, price tags still in place and unaltered. Returns must be received within two weeks of the date of purchase. Items purchased from the Clearance section and items purchased with coupons are non-returnable. Items purchased on special sales are non-returnable. 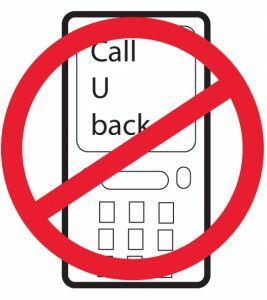 Like most stores in our community, Salt Bay Art Supply invites you to turn off your cell phone or leave your cell phone in your car. If you are expecting an important call, you may go outside to answer the phone. We request this out of respect for your privacy, and as a courtesy to our staff and our other customers. We appreciate your cooperation in this regard.